Newark’s Fergus Taylor will be back in action at the Chase Leisure Centre in Cannock next month, taking on former ABA champion Luke Paddock on Saturday 28 February in a bid to secure his second professional title. 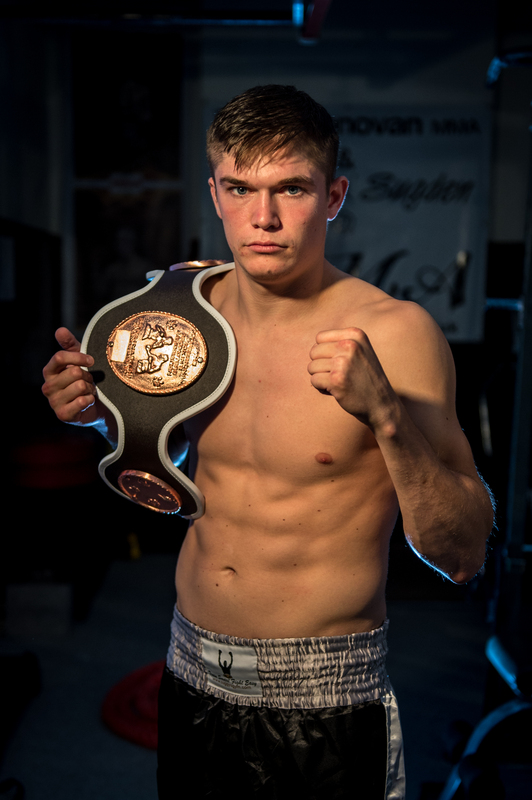 The Suggy’s Gym boxer, who won the British Masters Light Welterweight title in March 2014, is looking for his eighth pro victory when he goes up against Luke in a 10 round contest for the Midlands Area Super Lightweight title. Ranked 28th in the country, Luke is undefeated in his nine professional bouts. “On paper, this is a tough one for Fergus,” said Suggy’s Gym head coach Dean Sugden. “But we’ve done our homework preparing for it, working hard to develop Fergus’s skills in all areas and ensure that he brings something different to the fight. Thanks to sponsorship from Proud 2b Safe, Fergus is now able to train full time under the watchful eye of coach Dean. “Their support means I’m able to concentrate on eating, sleeping and living the dream as a professional boxer,” said Fergus. “I’m always fit and strong but training full time now means I’m getting stronger all the time and my skills are being honed every day. With the match up taking place in nearby Staffordshire, both fighters can expect strong support from their followers. Tickets are £30 and £60 each, with transport available for Fergus’s local fans – contact dean@suggysgym.com or call 01636 605708 for details and bookings.